Coconut is optimizing its resume. As it should. No job is secure in the gig economy, not even topping seven-layer bars over the holidays. Coconut counts up its credentials: the tropical background, that first job serving as squeaky snack. Extensive travel. The innovation that inspired flake. The collaboration that led to cream pie, curry, candy. The side hustle in cocktails. Impressive. Now, when many a fruit is packing it in, padding the 401(k), picking out real estate in the Keys, coconut is taking on the 21st-century challenge: retooling, again. Coconut’s got new skills: not just meat and milk, but oil, sugar and flour. A cake mixed from coconut components might, the baker reasons, reconstitute into a whole shaggy brown nut. It doesn’t. Coconut pound cake bakes up moist and aromatic, with a dense, fine-grain crumb. Add that to coconut’s handbill: megatasker. 1. Prep: Grease a 9-by-5-by-3-inch loaf pan with butter or coconut oil. Heat oven to 350 degrees. 2. Whisk: In a large bowl, whisk together all-purpose flour, coconut flour, almond flour, baking powder and salt. In a measuring cup with a spout, whisk together coconut milk and vanilla. 3. Fluff: Using an electric mixer (a stand mixer fitted with the paddle attachment is handy) set on medium-high speed, beat sugar and coconut oil fluffy, about 1 minute. Crack in eggs, one at a time, beating well after each. Stop and scrape down sides and bottom of bowl as needed. Switch to low speed. Mix in some of the flour mixture, then some of the milk mixture, alternating until the ingredients are just incorporated. 4. Bake: Scrape batter into the prepared loaf pan. Smooth top. Slide into oven and bake until top turns golden and firm and a toothpick poked in the center comes out clean, 45-48 minutes. 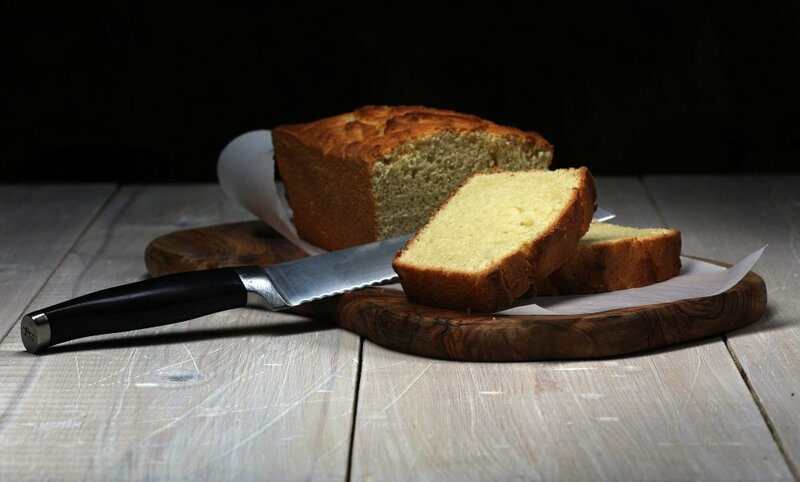 Let pound cake cool in its pan, 10 minutes. Tip loaf out of its pan, and cool on a rack. The cake is good warm or at room temp.